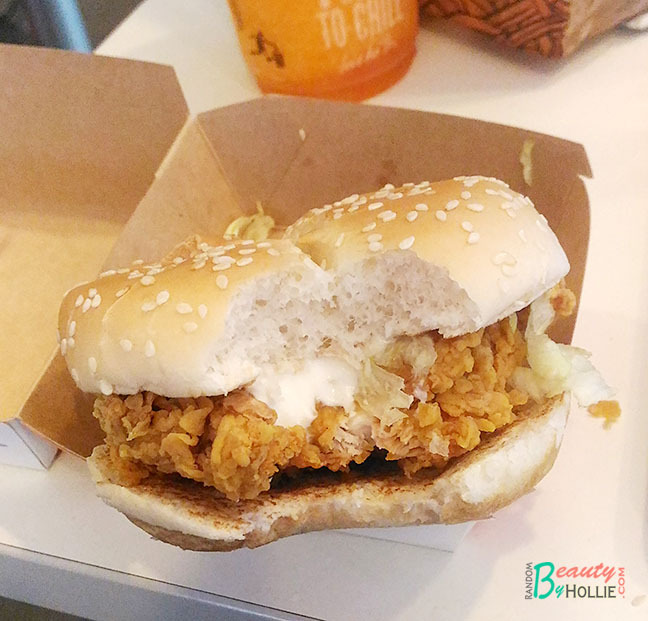 Random Beauty by Hollie: McDonald's McSpicy is Back! Yes ladies and gents, Mcdo McSpicy Burger is back! for a limited time only. Never thought I'd be this excited for a fast food burger. LOL (but for a chicken lover like me, it's probably normal). What I really enjoyed the most about the Mcspicy, is it does not heat up my tongue. The spice is just enough to make the deep fried chicken really flavourful. So, if you're not a fan of hot and spicy food, you might like this. It's really mild, I swear. 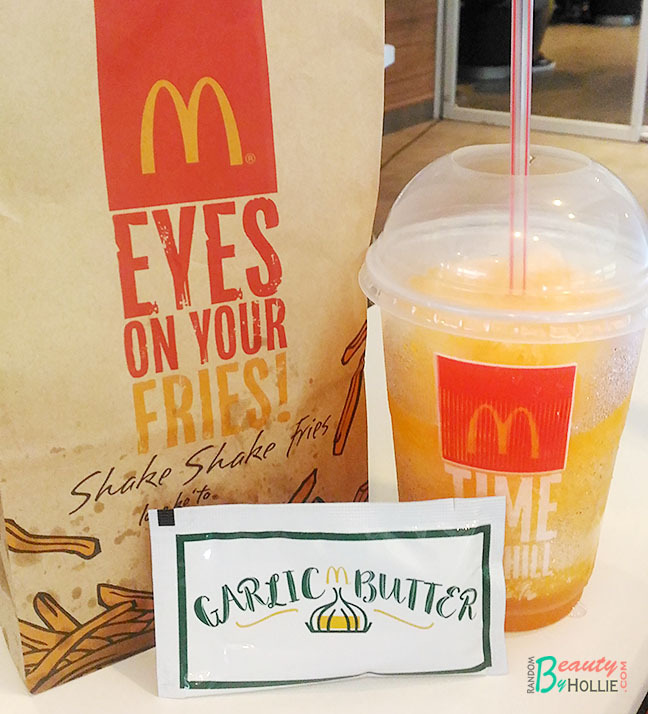 It is best paired with a McFloat and their Shake Shake Fries! I was honestly surprised with the Garlic Butter flavor, never thought it'd be really tasty. Made me look forward to try other flavors as well. 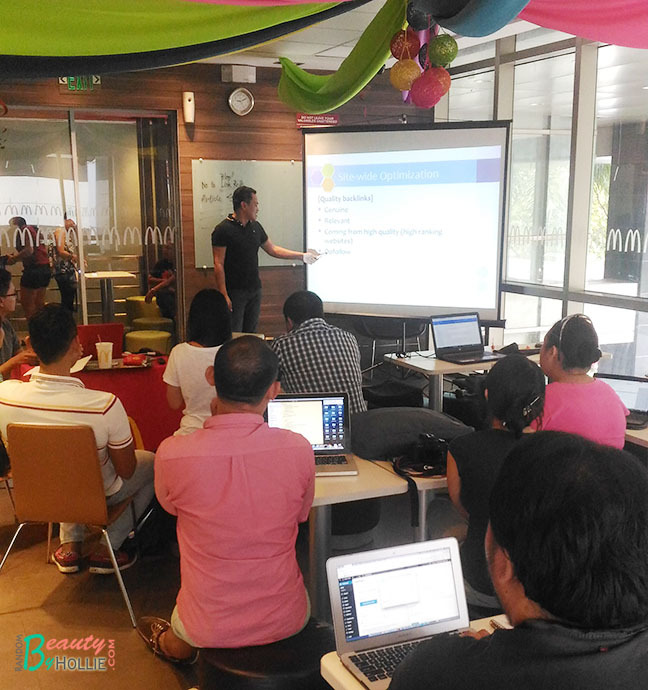 During our short discussion over SEO, I've learned so many tips from Ian of Freedom Wall to help my blog become more optimised. That includes learning some free tools to use. Like Google Analytics, Google Webmasters, Google Pagespeed Insights and a lot more. 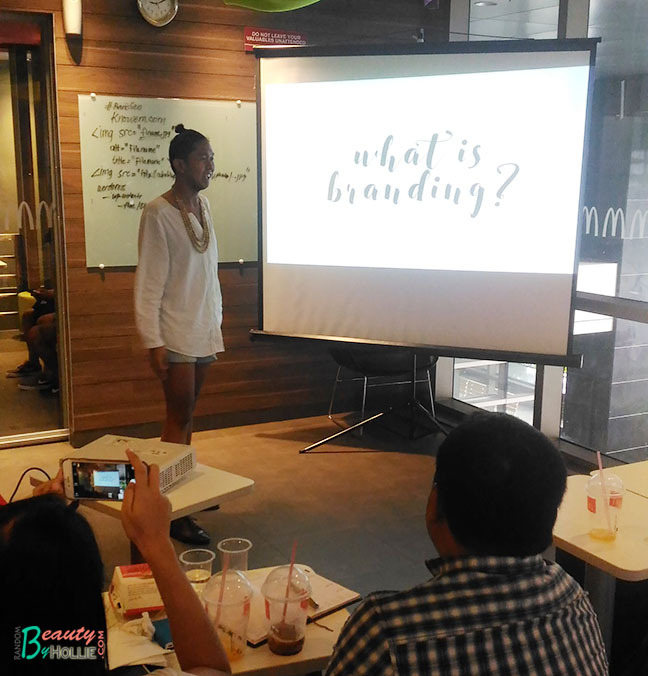 We also had a chance to learn more about Branding from the ever fabulous Ukay Ukay Diva, Alem. He shared with us he experience and how he started his blog which inspired me to think of new ideas for the growth of my own blog. 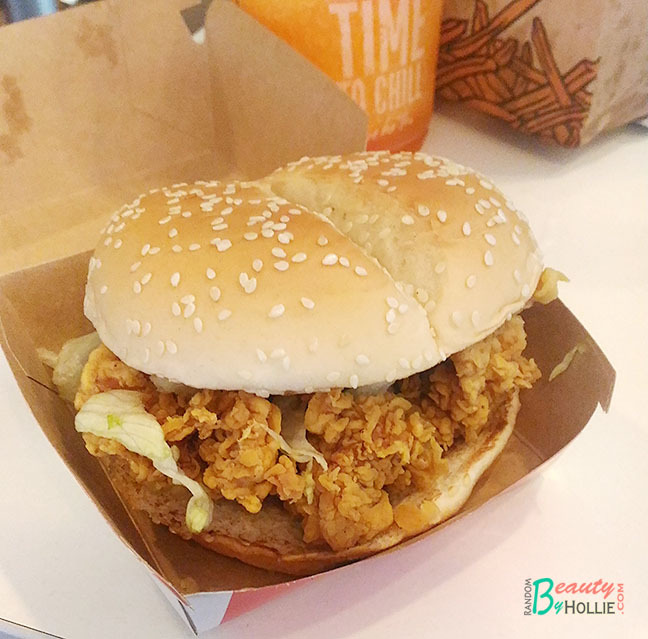 Do try McSpicy Sandwich/Burger if you happen to drop by McDonald's, you'll love it.